Custom Pure’s Carbon Block filter is made from activated carbon and is designed to provide offices with delicious tasting water. 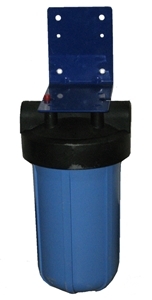 It is a lower cost filter, taking out fewer contaminants than the MB Series filter. 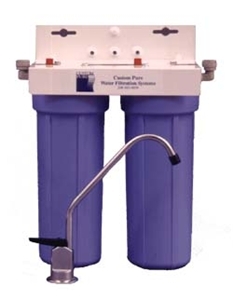 Poor tasting water, here in Seattle is usually caused by chlorine taste and chlorine is what this carbon filter is designed to remove. This filter produces water at 1 gallon per minute insuring that your office will never run out of water. The size of the filter is adapted to meet the capacity demands and space restrictions inherent in the installation site. We take into consideration your desired level of water purity, the space available for the filter and cost to maintain the equipment. A larger filter will have a greater capacity and not need servicing as frequently as a smaller filter. Are you ready to get great tasting water but without the bottles? Just request a Work Place Water Consultation and we will recommend equipment specific to your needs.